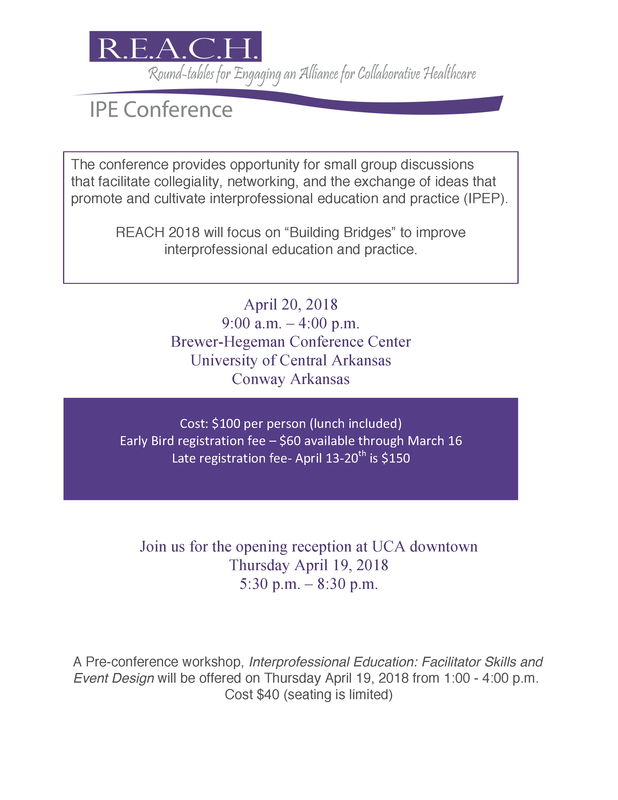 The IPE office University of Central Arkansas will, once again, host their REACH conference on April 19-20, 2018. Our own Drs. Wendy Ward and Kat Neill will be presenting at the Pre-conference on April 19th. 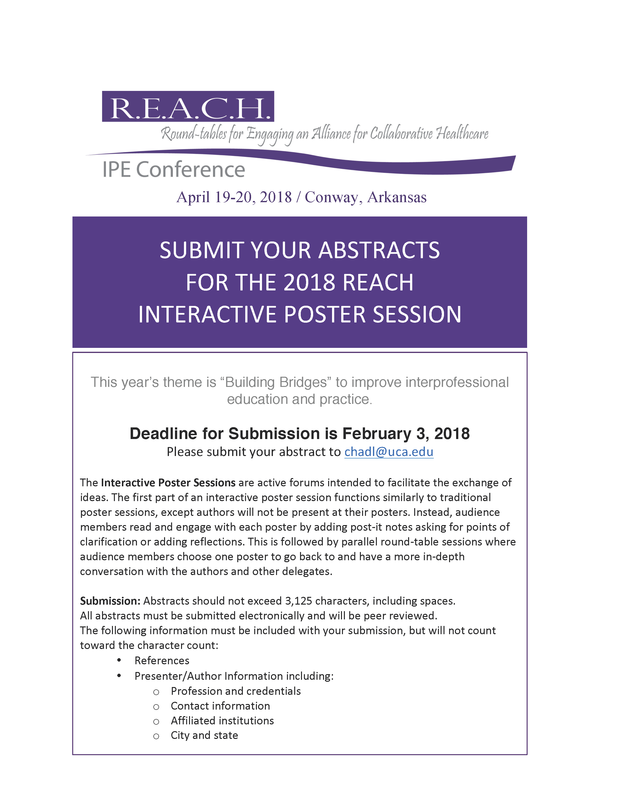 A call for abstracts has gone out and registration for the conference will open soon.